This quote reminds me of the kids I grew up with back home, either you were like myself and moved away or you stayed in the village and married local, worked local. When I go back I sometime bump into old school mates and they are exactly the same, albeit a bit podgier, a bit wrinklier and a bit greyer (aren't we all!). I always get the same comment "Oh you're so lucky to have travelled and live abroad"
There was no luck, a unicorn didn't poop rainbow dropping at my feet and I was magically whisked off to another land. Nope, I had to work at it, I had to take the courage to go it alone. I had to change things for myself. That goes the same for my job and my business. 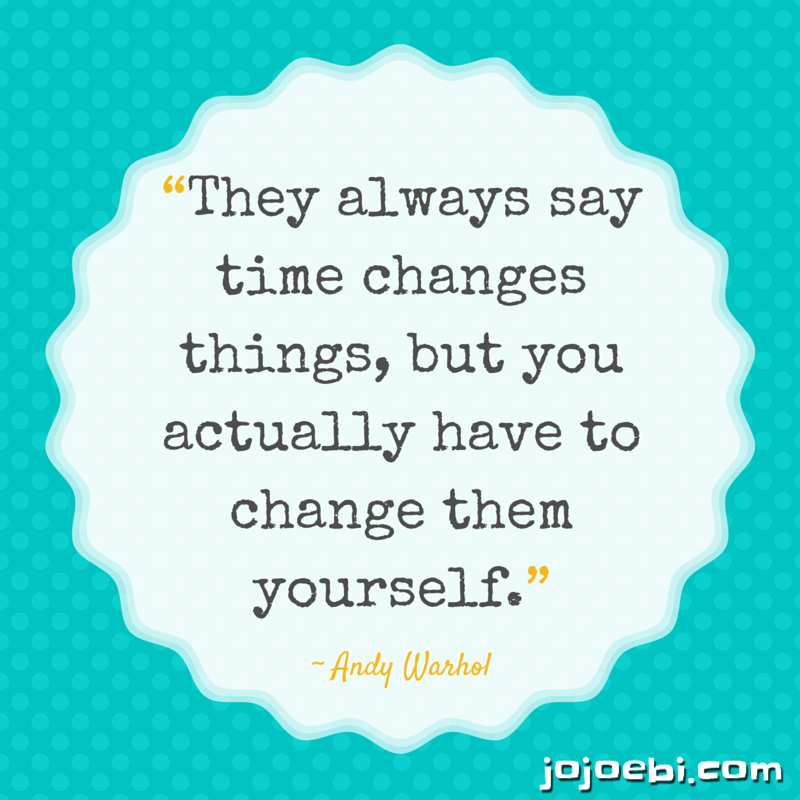 Change takes time but you have to make it happen. One of my clients said yesterday that she came to Japan initially for a year because she felt that if she had stayed in her nice cushy job, she would have been there forever. The people she worked with are still there, 10 years on. She was the one who made the decision to change. My version of the quote, if you want to see change, get of your arse and make it happen! With this being Andy Warhol, it also reminded me of the Time Capsule project HERE, only 9 more years until we open it!